Nowadays it is usual to use audio distributors. One often underestimate the importance of these devices. Generally located at the beginning of the audio chain, they influence the signal through its full path ! That's why Lefson decided to impose itself by creating an unique device, the DCAD : Discrete Class-A Distributor. Its analog circuitry of audiophile quality demonstrate that it’s all about discipline, intransigence and know-how. The Lefson DCAD can be used as SPLITTER (for instrument, microphone, line, or speaker), MULTI-REAMPER, or classical DIRECT INPUT BOX. The DCAD, with its amazing sonic performances, innovations, and the accuracy of its many options, will satisfy both the instrumentalists and the most experienced engineers. The device is designed to resolve technical disputes occurring during studio recording or on stage. 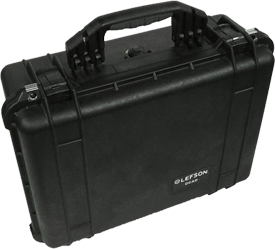 The Lefson DCAD "Discrete Class-A Distributor" is an audio distributing device with five active outputs. This unit, like all of the Lefson brand, is particularly designed for audio professionals. It is able to duplicate any audio signal applied on one of its three inputs "INSTR, SPEAKER, MIC/LINE", perfectly on six outputs, simultaneously. One of these outputs, called "THRU" is directly connected in parallel to the "INSTR" input. 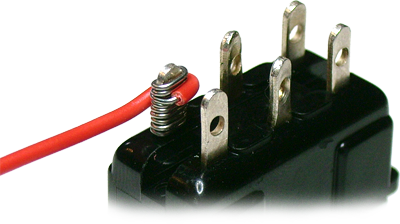 Four others, "ISO 1" to "ISO4" are equipped with their own active circuit, an electrical isolation, and can be enabled or disabled by a dedicated foot switch. A last one, "5:1 DIRECT OUTPUT" is always enabled and has the same isolation as the four previous. The selection of the various options of operation is performed by multiple switches and a potentiometer. Their role is illustrated by a screen printing directly on the device. The visualization of the power of DCAD, the activation of the four outputs "ISO1" to "ISO4", and the activation of 48V power, are made possible by the use of LED indicators of different sizes and colors. All the audio sockets of the DCAD are manufactured by the famous NEUTRIK company. The Lefson DCAD can be connected to any other device with a standard +4dBu or -10dBu audio level. As the outputs active stages are provided with low impedance and balanced circuitries, the Lefson DCAD is very "strong" with electrical charges that are submitted to it and can be connected to other devices with long cables, while minimizing the various problems related to the interference phenomena. 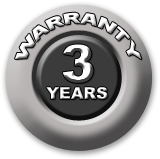 Many safeguards are implemented in both the supply and the audio circuit, allowing the DCAD to withstand many bad conditions of use without its overall operation being disturbed or damaged. 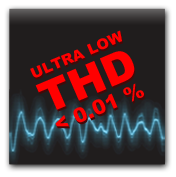 Due to our unique transistor class-A stages and the selection of the components, the LEFSON DCAD has an ultra low THD (Total Harmonic Distortion) : < 0.01%, typically 0.006% (condition : 1Vrms @1kHz). This feature attesting the precision of our circuitries. The audio signal retains its first properties, so you keep the original details of any sound coming from any type of source : instrument, microphone, line or speaker. For a line level signal, the DCAD is amazingly transparent. It's totally impossible to hear any difference between input and output, except the very appreciated spectral addings of the audio transformers. The MIC/LINE input and the five active outputs of the Lefson DCAD are transformer isolated. To achieve this isolation, we decided to use what we think to be the best : LUNDAHL transformers. 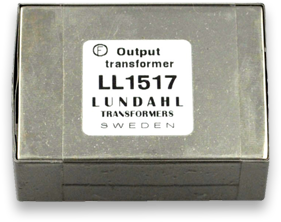 It's one of the world´s leading manufacturer of high performance audio transformers. Not less than six transformers of three different models are used in our device (all the same for the four ISO outputs) ! Undesirable ground loops are so eliminated. -	Output impedance selection, keeping true values with either TS or TRS connection types. As you can read in the specifications section, the Lefson DCAD gives excellent results in terms of signal to noise ratio, common mode rejection ratio (CMRR), and total harmonic distortion (THD). The only thing you will have to be carefull about is to ensure your other devices are well connected to a reliable power ground. That is said in the name : DCAD, Discrete Class-A Distributor. Both the audio chain and the DC power supply are made using discrete components. There is no semiconductor inside of our device. All the class-A stages are powered by a discrete and regulated DC converter, with many types of circuit protections. Voltage and current limiters will be activated if any external problem comes to disturb the operating of the DCAD. A discrete 48V Phantom DC supply allows to use all types of microphones. We suppose you know it, but just for us to be sure : never apply 48V Phantom on ribbon mics ! The “MIC/LINE” input is fitted with a rotary level attenuator. You can disconnect it (“OUT” position) or use it until -60dB of attenuation. All the audio active stages of the DCAD are designed according the audiophile LEFSON's class-A transistor circuits. The word "audiophile" is very important for us, because we think that a simple class-A electronic stage is not enough to get the best results. That's why we spent a long time in the design, to find the most effective class-A stages. Finally, we compared many components, and after hours and hours of listening, we selected these ones which our ears have prefered. This is the method of Lefson, to find the best, everytime, at any point of a shematic, but at last never forget that only one thing has to be taken in account : what we're hearing. We don't hesitate to use better vintage assembling methods, even if it takes more time. For example, we've decided to connect all the footswitches of the DCAD using the well known wrapping method. It has the big advantage of making an excellent contact with the wire while never burning anything in the mechanical parts. The results : to extend the footswitch life, and to increase the contact zone. At the end, we add a small point of silver solder just on the top of the contact (not shown on the picture above), to be sure that nothing will never move ! All components and parts of the DCAD are assembled using a high end silver solder. This significantly reduces the electrical resistance of contacts and keeps all the smallest details of an audio signal, particularly in the high tones. 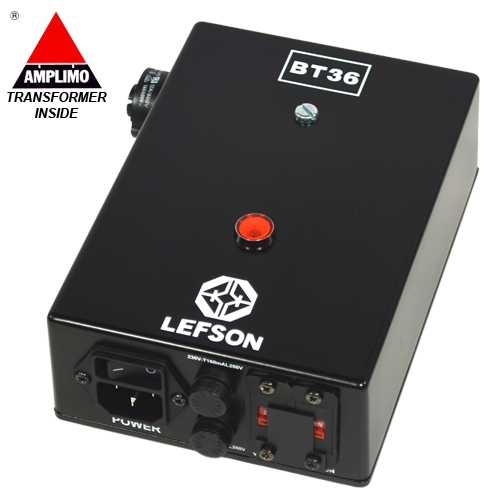 To operate the DCAD needs to be connected to an alternative 36V low voltage power supply : the Lefson BT36. This supply only consists of a transformer as all elements like rectifiers and filters, generating the voltage required to operate the active electronics, are included into the DCAD. To be sure to get the best results, LEFSON has decided to use an high-end AMPLIMO toroidal transformer. This choice has been validated by many audio tests. The BT36 uses an industry standard IEC C14 socket and can be powered by 115V or 230V. 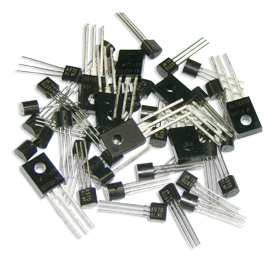 For each of these values, LEFSON has designed a suitable electrical protection by combining different fuses and varistors. 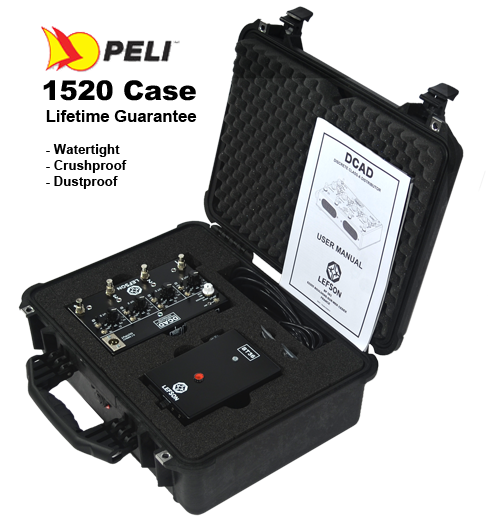 The LEFSON DCAD is sold with the BT36, two power cables, spare fuses, an user manual, all in a LIFETIME WARRANTY PELI case. After comparing, we decided to protect our devices with it, as this case is really the best for transport and storage. Why do you think military use PELI cases ? In recording studio or on stage, work with confidence, use LEFSON.